Queens of Darkenss. Please give credit if आप use it या post it somewhere else!. 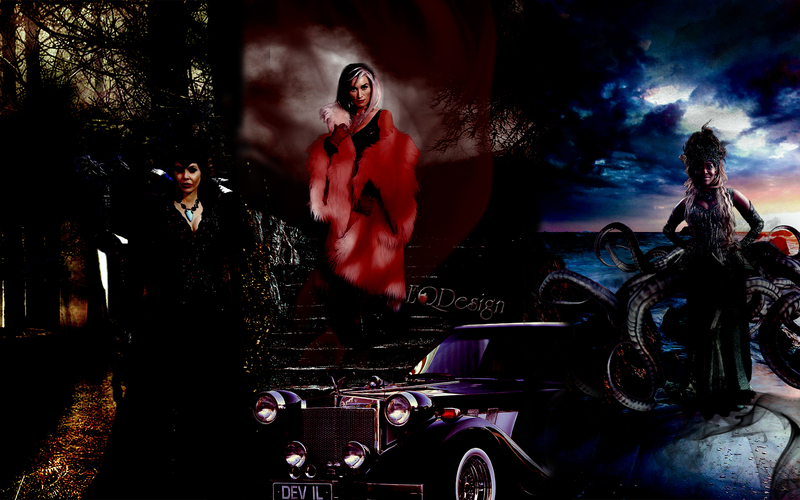 HD Wallpaper and background images in the वन्स अपॉन अ टाइम club tagged: photo once upon a time ouat ouat fan art queens of darkness s4 the author the apprentice eqdesign eq design oncebg cruella de vil ursula maleficent victoria smurfit merrin dungey. This वन्स अपॉन अ टाइम wallpaper might contain सड़क, शहर के दृश्य, शहरी सेटिंग, शहर दृश्य, शहरी की स्थापना, मिनी कार, minicar, पालकी, सैलून, and सेडान.